Hosting a Superbowl party? 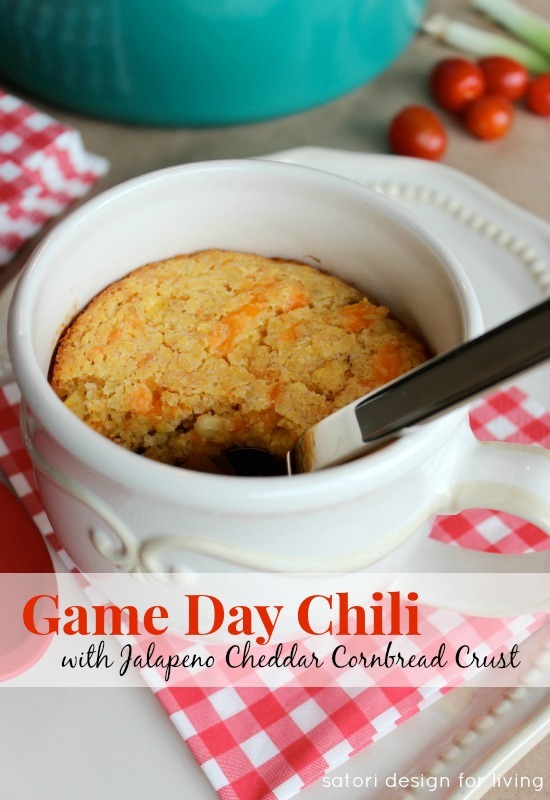 Score a touchdown by making this game day chili with jalapeno cheddar cornbread crust topping! It’s the big game this weekend and we’ve decided to invite our football crazy friends over (even though they’re Bronco fans). Let’s just say my husband is a tad passionate about NFL football, and I know he’s particularly excited for this game since the Seahawks are his team. I’m not too much of a football fan (Sunday afternoons are my time for puttering around the house), but I am looking forward to catching up with our friends, watching the Bruno Mars halftime show, and, of course, eating! Brown ground beef in large pot on medium heat. Drain off grease. Stir in tomato paste and cook for 1 minute. Add onions, celery, and garlic. Cook 5 minutes, stirring occasionally. Next, add mushrooms and bell peppers, and cook for another 5 minutes. Stir in the remaining ingredients, except for the green onions. Simmer on medium-low partially covered for about 15 minutes, stirring occasionally. The chili should start to thicken. Adjust seasoning to taste and simmer covered for another 10-15 minutes until the vegetables are tender, stirring occasionally. 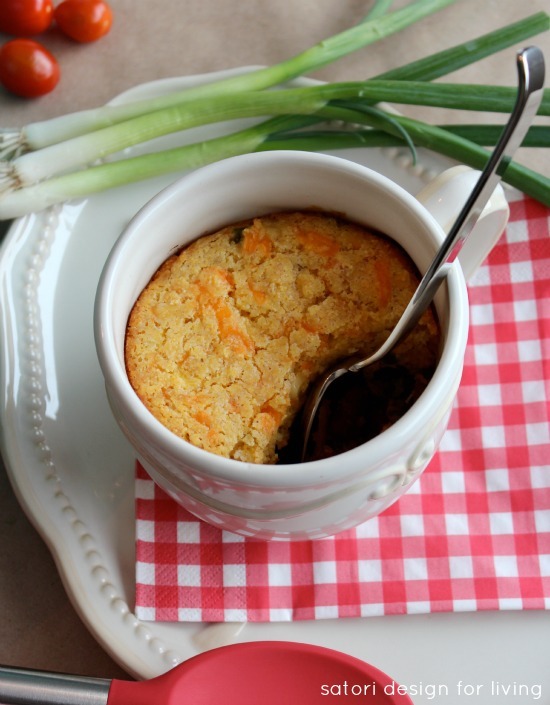 Turn off heat, stir in green onions and let sit covered for 10-15 minutes (prepare the cornbread crust during this time). Note: you can bake this crust right on top of the chili in an oven-proof pot or transfer chili to individual oven-safe bowls. In a large bowl, sift together flours, corn meal, sugar, salt and baking powder. Set aside. In a separate bowl, beat the eggs. Add the buttemilk and slowly pour in the melted butter while stirring. Mix in the Tabasco sauce if desired. Add the wet ingredients to the dry mixture and gently stir. Fold in the cheese, corn, and jalapenos. 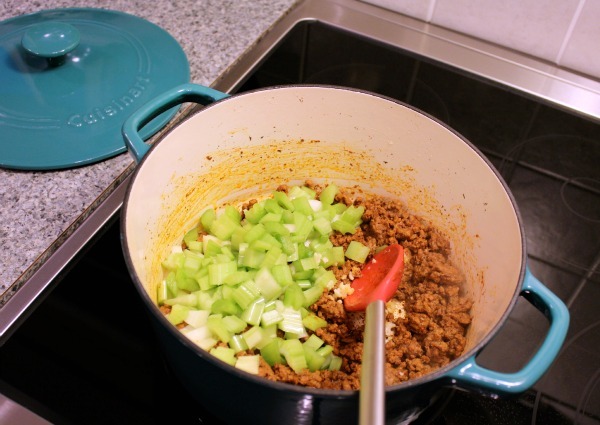 Spread evenly over the top of the chili in the pot or individual bowls. Note: Lightly grease the edge of the pot or bowl first to prevent the cornbread from sticking. Bake until it is golden brown on top and firm to the touch at the center (about 35-45 minutes depending on the size of the dish). Let cool 10 minutes before serving. ENJOY! Note: If you want to make these into cornbread muffins instead, line a muffin tin with parchment paper or cupcake liners. Divide the mixture evenly (about 12 muffins). Bake for 25 minutes. 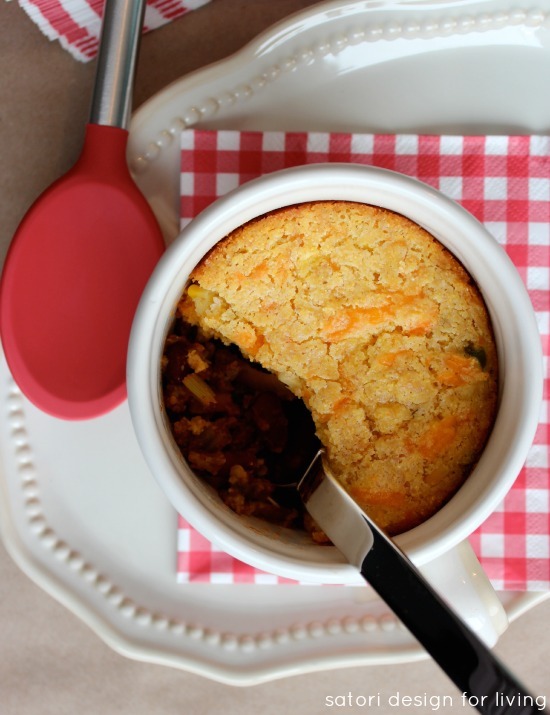 The beer-infused chili with zesty cornbread topping is so, so good! Would you be up for a bowl of game day chili? A beer-infused chili topped with zesty cornbread. Perfect party food! You can bake this crust right on top of the chili in an oven-proof pot or transfer chili to individual oven-safe bowls first. 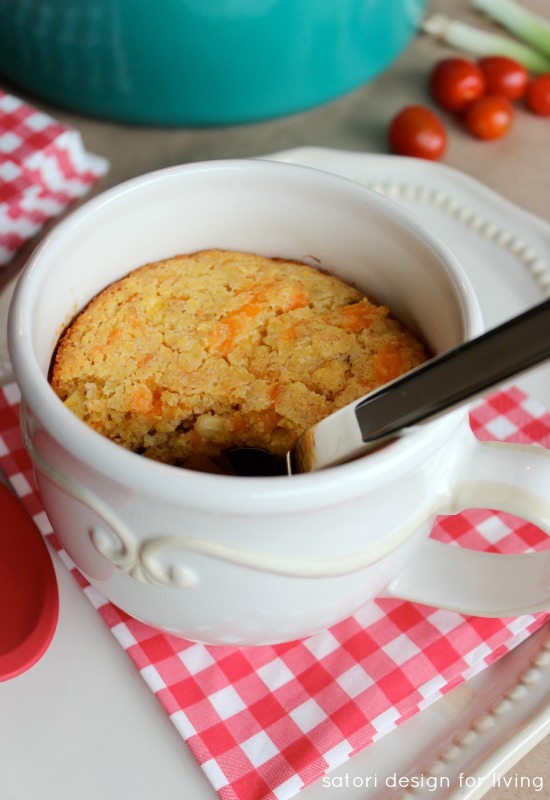 If you want to make cornbread muffins instead, line a muffin tin with parchment paper or cupcake liners. Divide the mixture evenly (about 12 muffins). Bake for 25 minutes. Thank you so much, Thea. Enjoy your weekend (hope the snow stops and it warms up)! Now this is a chili I would probably really enjoy. Maybe I should crash your party;) Thanks for sharing this awesome recipe! It kicks it up a notch, that’s for sure. Thanks for stopping by and enjoy see you this weekend LOL! What a delicious idea! Two of my favourite things in one dish! Your recipe looks really good Shauna, thanks and I really like the bowls you’ve got them in and those plates too!! 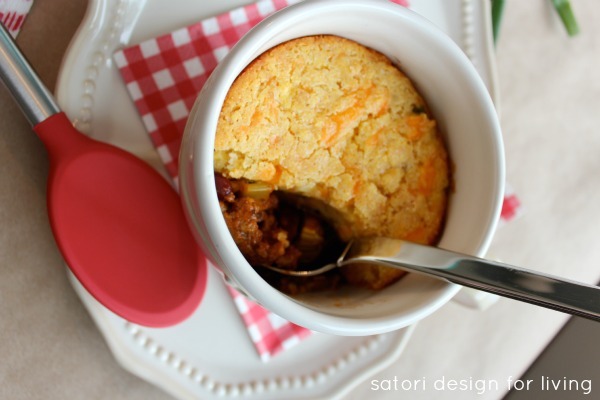 I’ve never made chili with a cornbread crust – that looks so amazing! Thanks for the yummy recipe! Shauna! It’s so delish! Hope you enjoy!